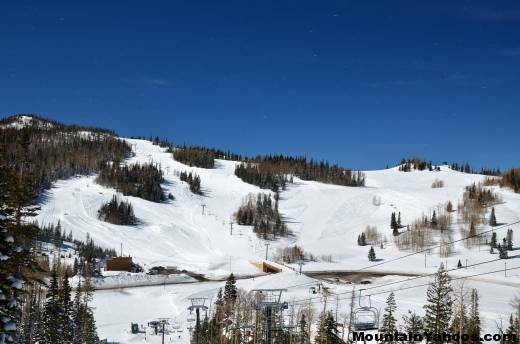 Brian Head Ski Resort in Utah is located in Southern Utah surrounded by some of America's most famous national parks: Zion (1.5 hrs), Grand Canyon, Bryce Canyon (1.5 hrs), Canyonlands and Arches National Park. It is actually closer to Las Vegas Nevada (3 hour drive) than Salt Lake City Utah (4 hour drive). 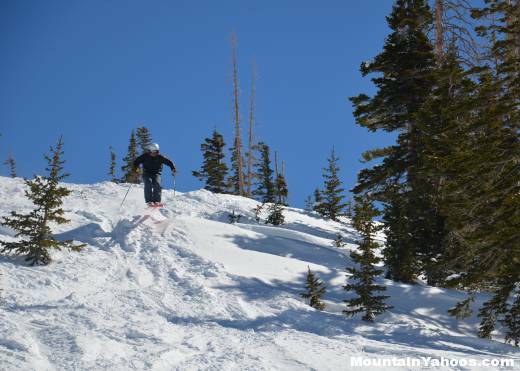 Brian Head ski resort has two mountains, Navajo Peak which is almost exclusively beginner runs (with some intermediate and only one advanced run) and Brian Head Peak which is almost exclusively intermediate, advanced and expert runs. 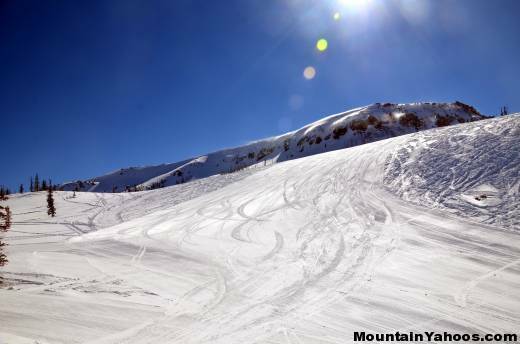 The two separate mountain peaks with two separate skill levels allows the beginners on Navajo Peak to ski at their own pace without any fear of fast overtaking skiers and snow boarders rushing past them. It's also good for the ego, who is going to look that much better than you? 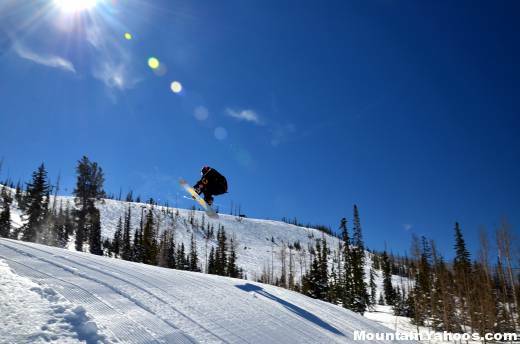 All the advanced terrain worth considering at Brian Head resort is on Brian Head Peak. 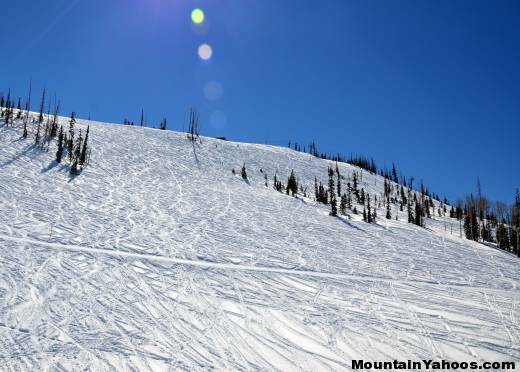 You will find the advanced runs to be gentle black diamond runs (nothing treacherous). 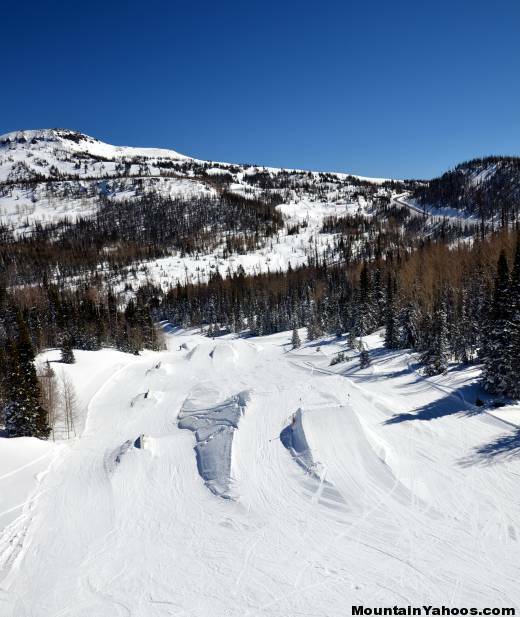 When the back country gates are open, Brian Head also offers a substantial variety of back country terrain. 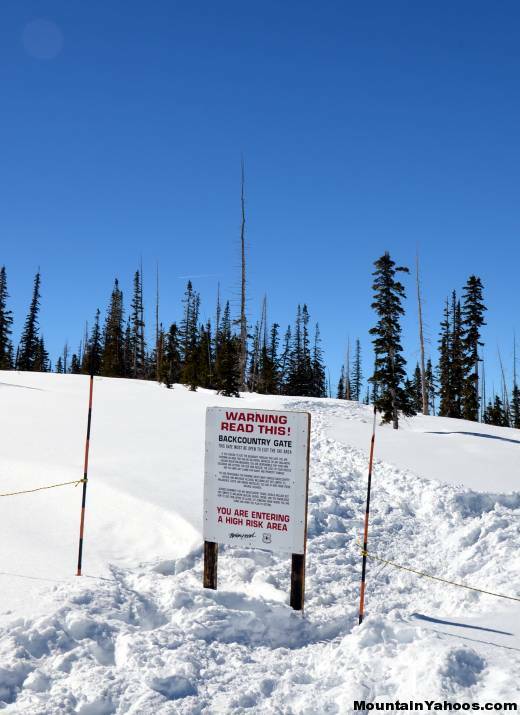 Accessible by hike from the summit only. Conditions may not be permissible. 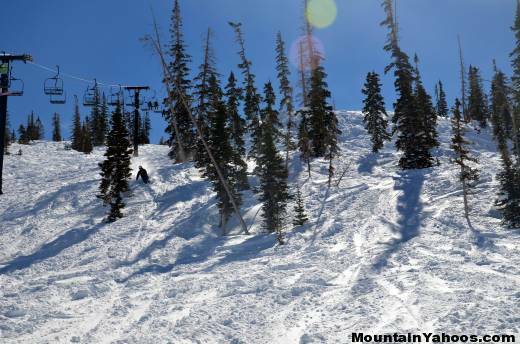 Dark Hollow and Pillows are both very open "tree skiing areas". Dark Hollow off of Roulette lift. 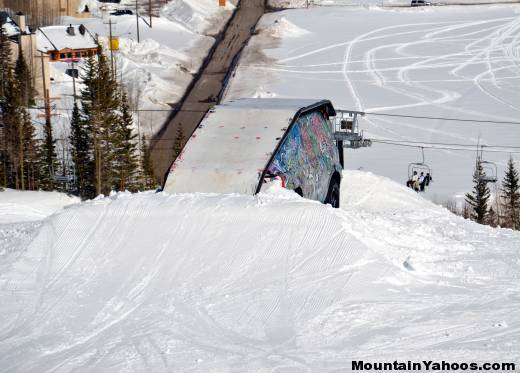 There appears to be no "signature mogul run". 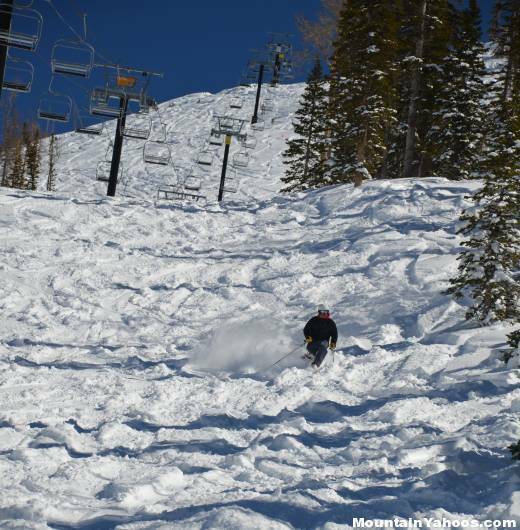 Moguls certainly may exist on the more advanced runs depending on conditions. 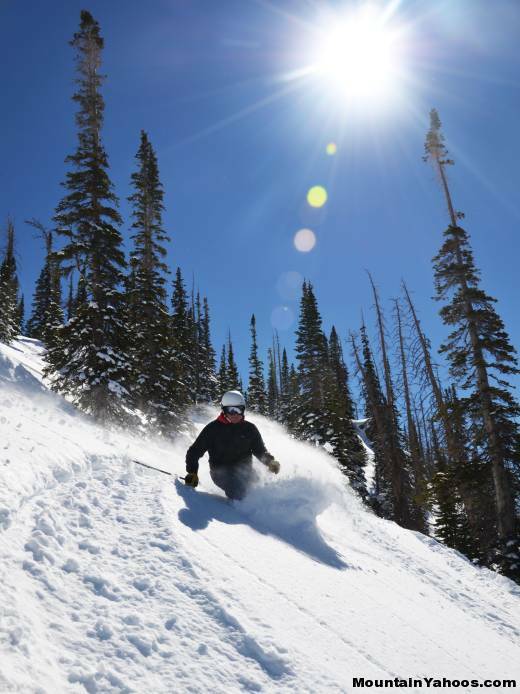 Brian Head Resorts has accessible "off piste", "out of bounds" gates which will often provide for you access to untouched powder and the only way to find a double black diamond runs. 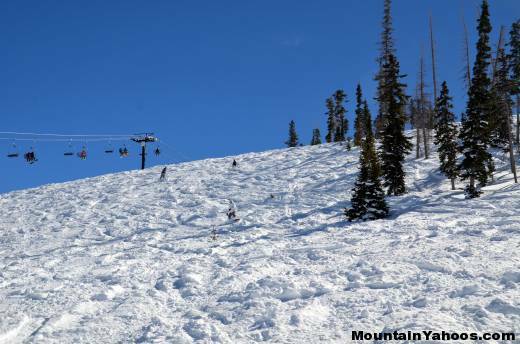 This of course is not patrolled, groomed or avalanche controlled. 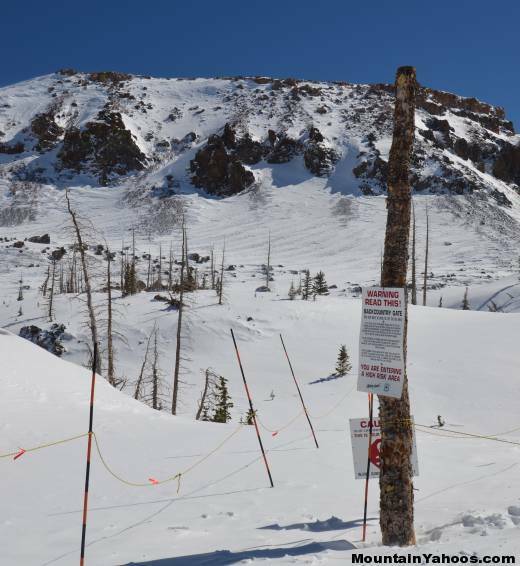 Out of bounds areas are skied at your own risk. Devo's Pitch back country gate. 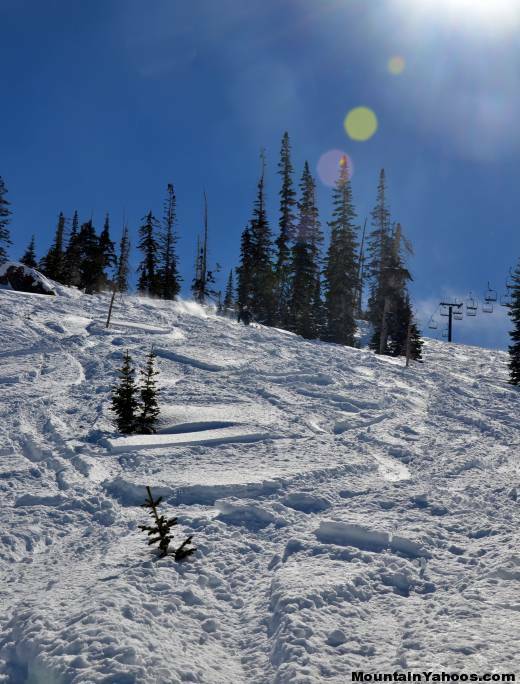 Access from the top of Roulette lift. 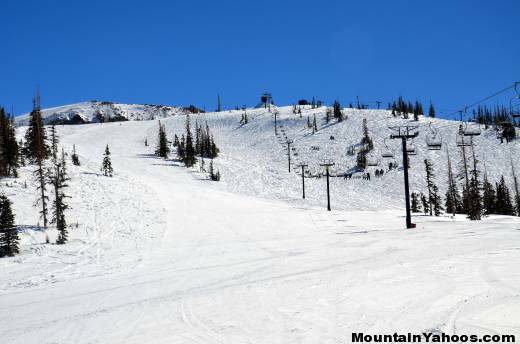 Leads you down the steep "Devo's Pitch" and then back into the resort run "Wild Ride". Roulette back country gate. 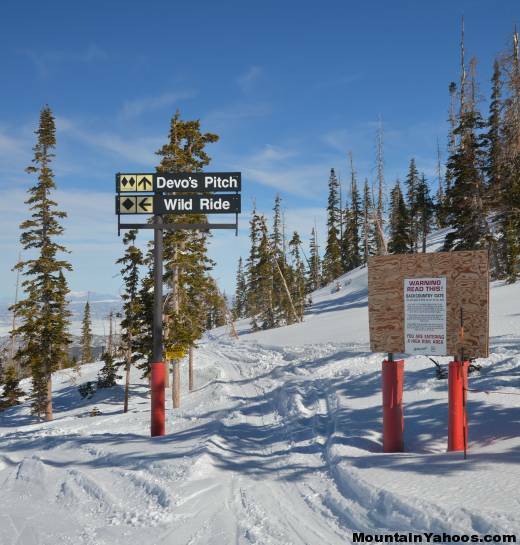 This is another access into the Devo's Pitch area. Giant Steps back country gate. Note that it is quite a hike from here to any of the terrain at higher elevation. 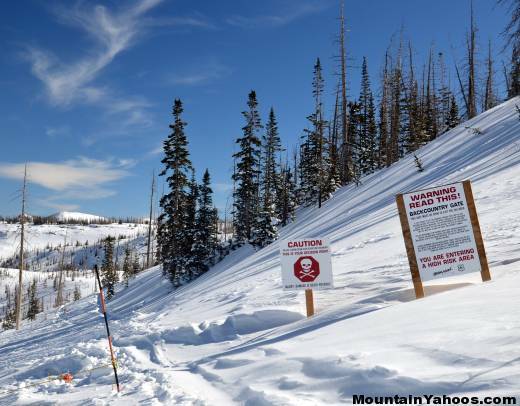 Check with the ski patrol for guidance in this area. 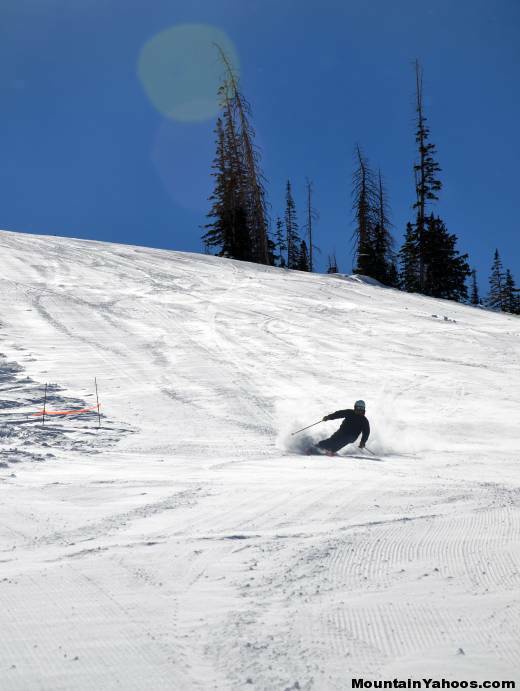 A park for beginners is located at Navajo Peak, and intermediate and expert parks are located at Brian Head peak at Giant Steps. 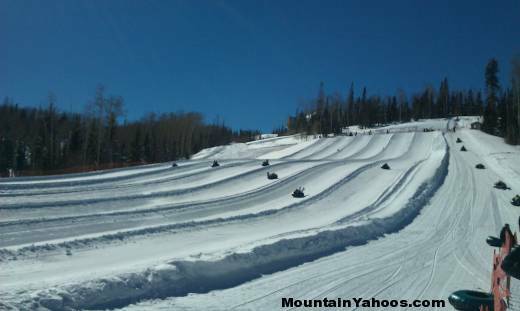 For those not old enough or not enthusiastic enough to tackle the mountain, Brian Head also has a six lane tubing park at the Navajo Lodge Learning Center. 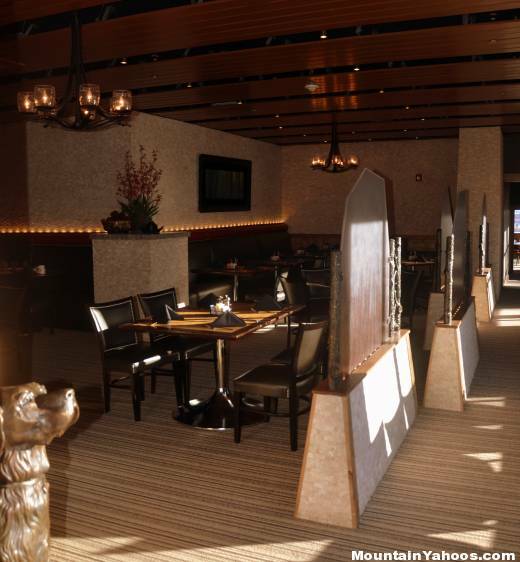 The "Lift Bar" at the Grand Lodge is your place to wind down after a day of skiing. 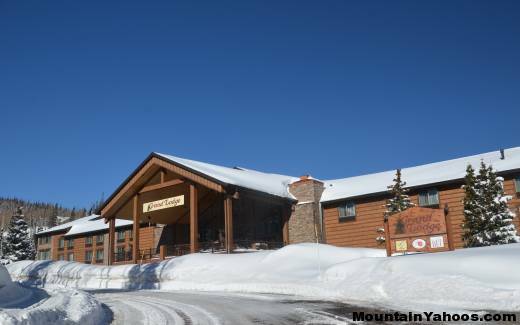 Brian Head is in a rather isolated area away from any large metropolitan areas. 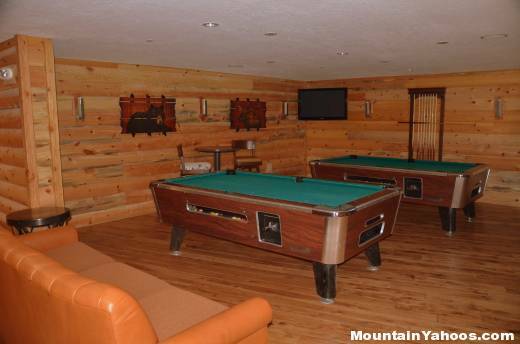 You will have to find what you are looking for at the resort or in the local towns of Parowan (12 miles north) or Cedar City. 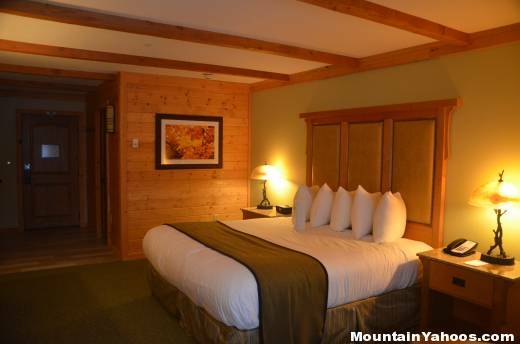 High Mountain Outfitters in the base lodge will cover most of your alpine needs. Night skiing, when available, otherwise there is none, and none nearby. 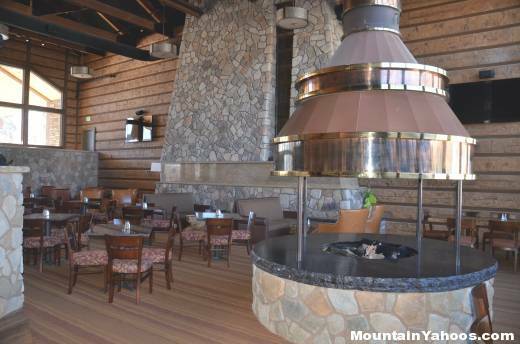 Brian Head resort is three hours from Las Vegas and four hours from Salt Lake City. Private aircraft can use Parowan airport 12 miles northwest. 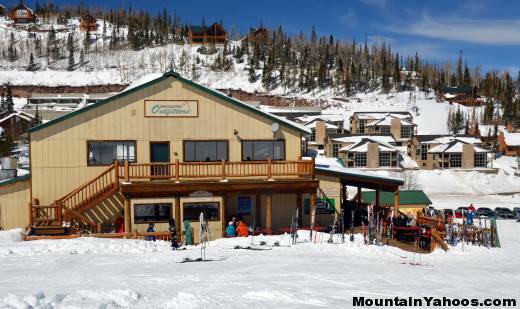 Rentals and lessons available at the base.